Whenever a child’s sleep patterns change, parents tend to be understandably concerned about what is going on with their little one. While there are a variety of reasons a baby’s sleep patterns may change, one of the more common reasons is a sleep regression. 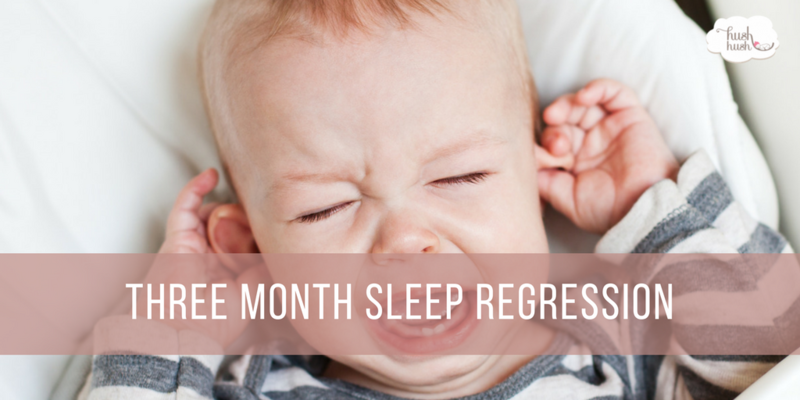 Read on to learn about the three or four-month sleep regression and how to deal with it. According to the Sleep Lady, a sleep regression is typically characterized by a sudden and dramatic change in sleep behavior in an infant who is otherwise sleeping through the night and napping well before the modification. It is not unusual for a baby having a regression to wake up frequently at night to nurse, become much more cranky than normal, need more cuddle time, or be hard to put down for naps. These regressions tend to happen in intervals with the first one occurring around three or four months of age. The reasons behind the three or four-month sleep regression are something many parents wonder about while their child is going through it. One of the primary causes of the sudden change in sleep patterns is the brain development that your baby undergoes during this time. As a newborn, your child has a significantly different sleep cycle than an adult. During the three to four-month sleep regression, your baby’s sleep patterns permanently change away from the newborn sleep cycle to one that includes light and deep sleep more like your own. These changes appear differently in each baby. One of the biggest things to remember while your baby is going through a sleep regression is the fact that the symptoms resulting from it are temporary. After a few weeks, things will return to normal so do your best to recognize the signs early to help avoid frustration. It may be necessary to be a bit more flexible with scheduling than you would typically need to be when your child is not in a regression. Use of a swaddle or pacifier may help to soothe a fussy baby and promote sleep so if you have already been using these methods (and they are working) feel free to continue using them. However, if you have not, it may be time to consider implementing them.